With the arrival of autumn to our doorstep, I find myself as I do every change of season, looking around our home. 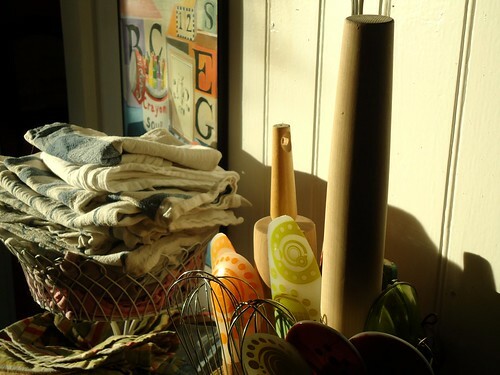 The desire to move things, organize, de-clutter (or clutter-up in some cases), freshen and renew and simply enjoy our home more, becomes paramount. 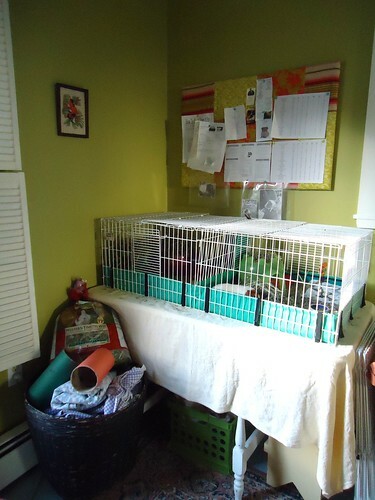 With every year, especially with two growing and learning teens in the home and a partner that works here at least twice a week, and the addition of two guinea pigs, it's essential to reconsider spaces and make changes if necessary. 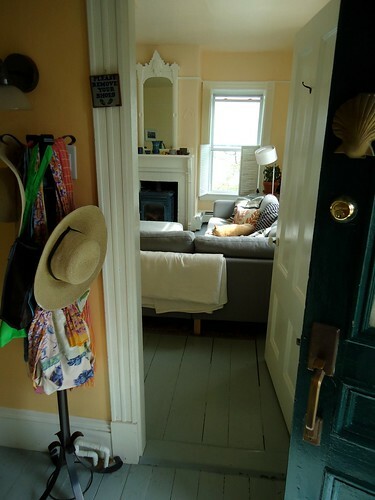 Putting the practical aside, walking around our home, studying its spaces, corners, well-loved surfaces, arranging textures, making space--the simple act of considering our home is a form of meditation, spiritual practice and a path to nurturing myself, and others as well. I've written before about keeping home for comfort and beauty, but in addition to those principles, practicing the considered home is also a path to well-being for us. 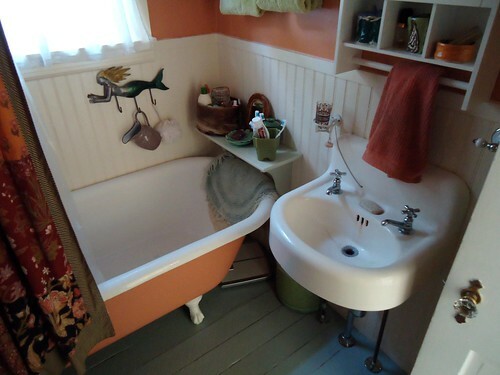 It could be a matter of rearranging a space because somehow the energy feels stuck, or repainting a room because the color feels off, or not quite right in some way. Or perhaps it means there has been growth and that old wall color no longer fits the changing teen or your changing taste. Sometimes, too, a space may frustrate, feel wrong somehow, but significant change to that space simply isn't practical or feasible. When I feel that way about a space, it's often helpful to see the space in different lighting. 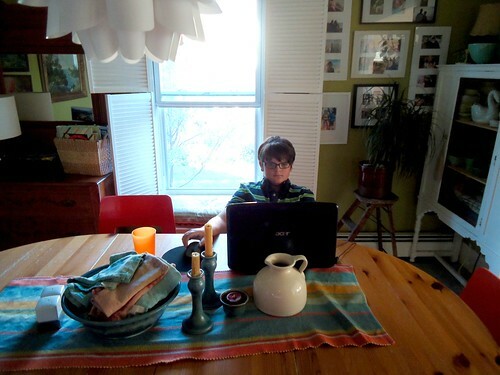 Photographing a space and studying the room also helps you see things you might not have noticed. I've even looked at rooms reflected in mirrors and have noticed the unique qualities of the space I didn't notice before. Finally, meditating, or day dreaming or visualizing the space as you drift off to sleep is often a helpful exercise; what changes would you make? Editing spaces in our mind can be a great way to see solutions for problem spaces. Our kitchen during a sunrise. Everything out and ready to use. 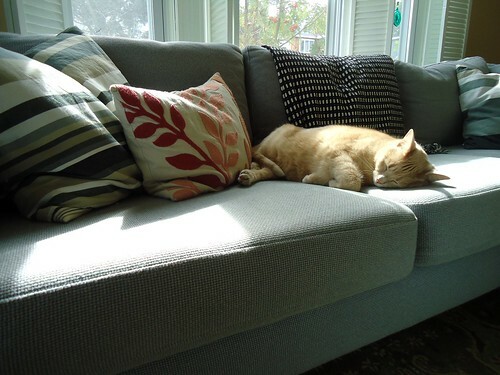 Most of the spaces in our home are far from perfect. There's always a lot we'd like to change. But considering your space, whatever that may be (I've lived in everything from mansions to trailers to motels to cars*), I've learned that every space has an effect on your well-being and in most cases, it has little to do with money or decorating expertise, and this is crucial to understand. 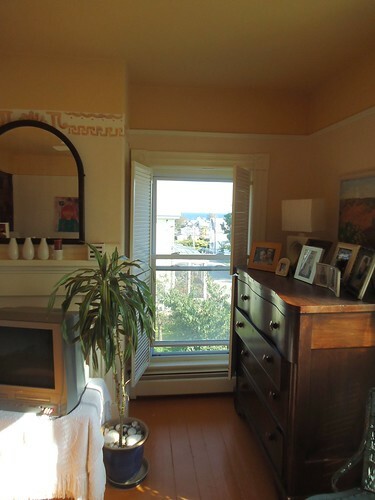 I've lived poor, but I recently had someone tell me they were envious of the apartment my mother and I lived in when I was in high school, twenty-two years ago! The dated, gold shag-carpeted, barely furnished apartment. Why? Because we made it ours, we made the space as suited to us as possible, using what we had. And I know I've had the experience before of entering a home, possibly even a home belonging to a wealthy family, and feeling no sense of home. *Yes, I've experienced homelessness, more than once and living in a car. Even then, my sister and I arranged the suitcases in the backseat just so, we made little cubby holes within the clothing rack that spanned the car width, we had to accommodate the cat, we made room for our teddy bears. We lived there and we made it as workable and pleasant as possible. Our imperfectly personal and comfortable bedroom. 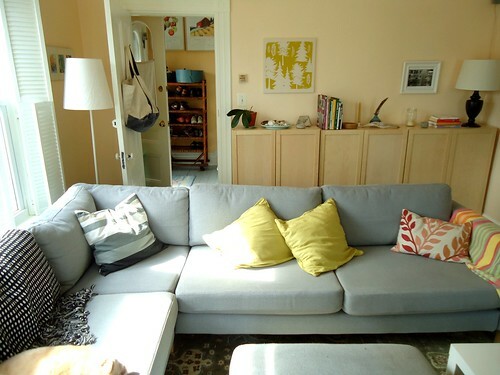 So what then, does make a well-considered home, and how exactly does it become an act of self-care to arrange a home (dwelling, space, room, vehicle) according to yours, and if you share your home, other's needs? Well, for you? I don't know. This isn't about decorating rules or keeping up with the Joneses, remember, this is about how you live. I suppose if you are constantly packing up for long hiking trips to go fly-fishing in the Wyoming and Montana mountains, like my sister's family does, you'd want to keep all that gear accessible. You might decide to display your gear or you might want it tucked neatly away, but I bet you'd want to get at it easily. It would not be an act of self-care to deny yourself the trip because you couldn't access, maintain and organize your gear, and it would be stressful and time consuming to have to track it all down each time you went on a trip. 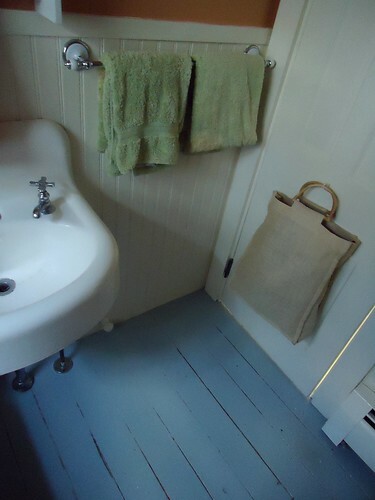 Grooming supplies are kept within easy reach in our small downstairs bathroom. Here's another way to look at it; for instance, it makes sense to keep the flour and sugar in the kitchen, since that's where we bake or cook. But many of us don't think about the other spaces in our home the same way. We instead scatter belongings about the home and then we wonder why we are stressed every minute we are there or we need to find something. As I said before, keep like with like. 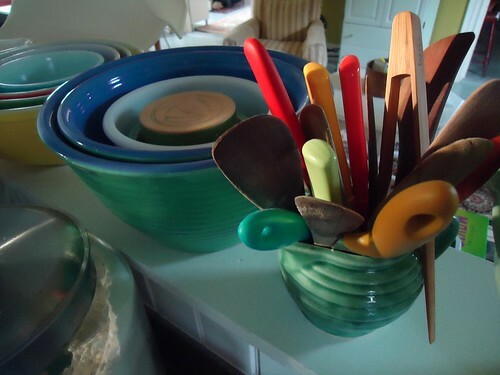 Because all of us in my family do bake and cook a great deal, we like to keep all our supplies within easy reach. This is partly a function of our small space, but it's simply easier to get at cookbooks when they are on a shelf near the mixer. As a result, we're more likely to cook, can and prepare meals, which nurtures us all and provides for more connectedness, more time enjoying our space and less time avoiding it. 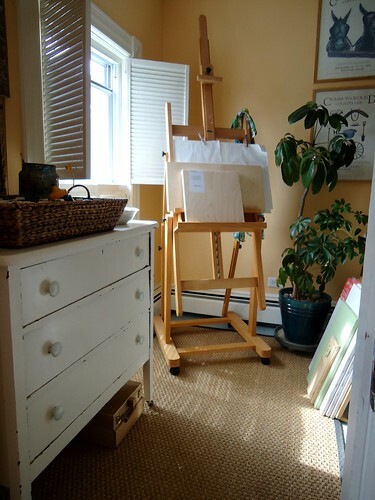 The landing has great light and is used as painting spot, supplies accessible. Having a well-considered home for us, absolutely means we live with purpose, in a way that makes sense to us. While we certainly have collections, we're not likely to hold on to things that no longer have personal meaning. It also means we're not trying to achieve a catalog look or have the same bare kitchen counters that our neighbor has. (I once knew someone that could not function in a kitchen with appliances and supplies out on the counters, so it all lived behind cupboard doors. I on the other hand, would be miserable in such a space, and would find myself impatient and reluctant to ever begin a project. Everyone has different needs in the home, the trick is to honor your needs, convention or neighbors be damned.) Along with keeping like with like, I also like to keep things where we tend to use them. 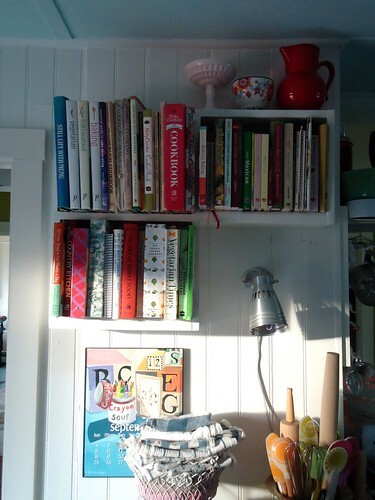 Every space has that spot that collects mail or library books or mittens or even people. So we arrange our home accordingly, so less time is spent moving items around to different spots or shuffling guests to other parts of the home, (when they clearly want to be in the kitchen) and this too, is nurturing to everyone in our home. 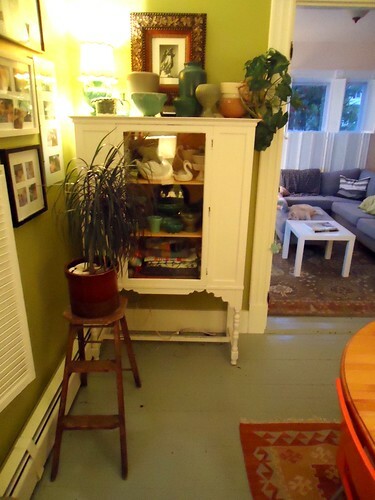 Pottery and linens are stored near the dining table. Guinea pig supplies and information are stored at the guinea pig table. 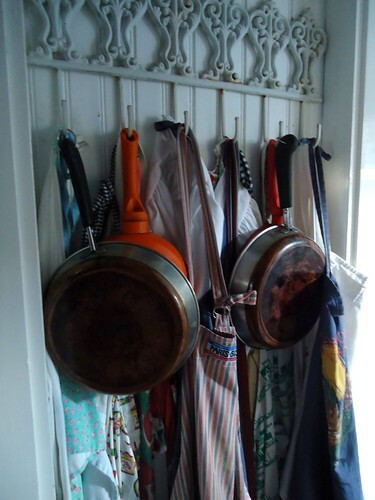 Pans and aprons hang on hooks near the stove. So as summer gives way to autumn, and you find yourself antsy in a space, anxious or wishing to avoid it, take time to study it. Pay attention to the light, the items that collect there, the way people like to use it, they way you wish the space functioned and how you might repurpose the space. Take notes and photos. Daydream about that space. Think about how you might be trying to make the space function in a way that isn't reasonable or practical. 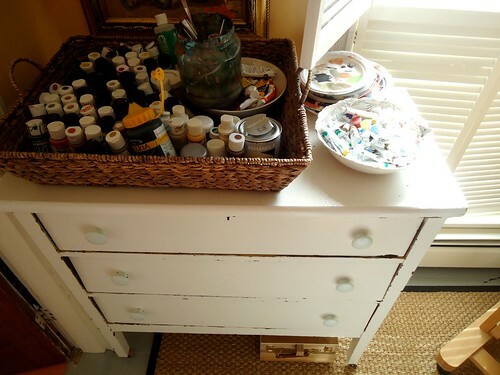 Do you need more light, more storage, less clutter, brighter paint, more texture, less color? Do belongings need to be more accessible? These are all things you might discover about your space. By changing how a space is used to better meet your needs, you will feel less stressed, more calm, more likely to use your space. You'll now have a home you associate with well-being, connectedness, good function, order and comfort. It will truly be a well-considered home. great post, amy. there are a lot of thoughtful ideas. thanks for the inspiration. 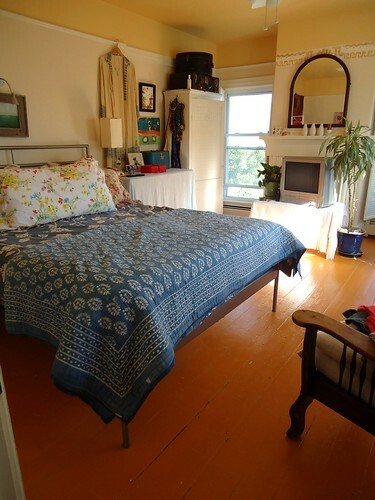 also, love that pumpkin colored floor in the bedroom. exactly. you know I love to change things up and re-organize a lot, especially as seasons change. i too have been homeless, lived in rented rooms in homes where most people left every morning to line up for their meds and I had a padlock when I slept, and have lived in a condemned building (along with about 10 other goth kids). No matter how poor I was or what my circumstances were, I always had a clean/neat space to call my own, even in the midst of...well, you know. It makes it easier to walk away from it all because I have lost everything (more than once) before. But it also makes it all more valuable too - how it feels, how I feel in it, how people feel in it, all are important in my home . Done rambling. Love your photos, love your home! Gorgeous space you all have created :) Love that idea of hanging the pots on hooks!